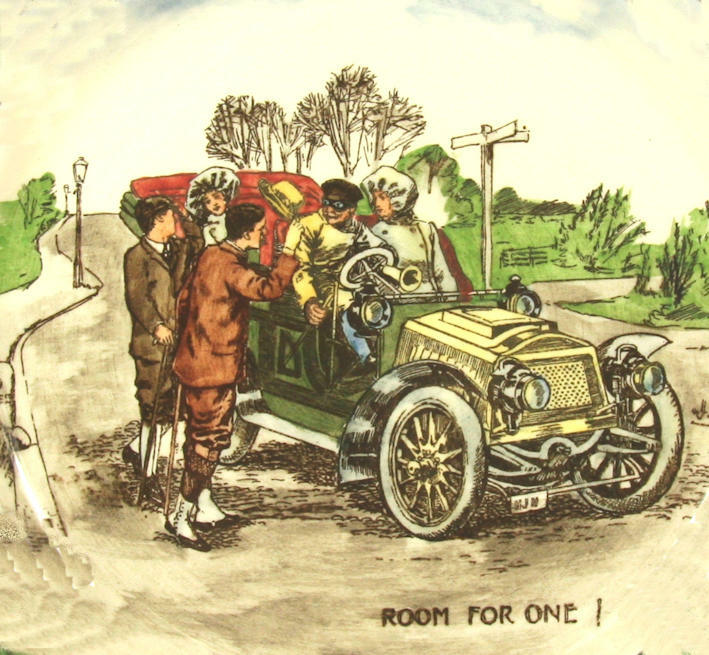 George Holdcroft was the artist/designer who worked for Royal Doulton responsible for the Motoring Series Ware. This china started in 1906 and consisted of a large range of plates, bowls, tankards, jugs, pitchers, tobacco jar, spittoon etc, if fact everything except cups and saucers! 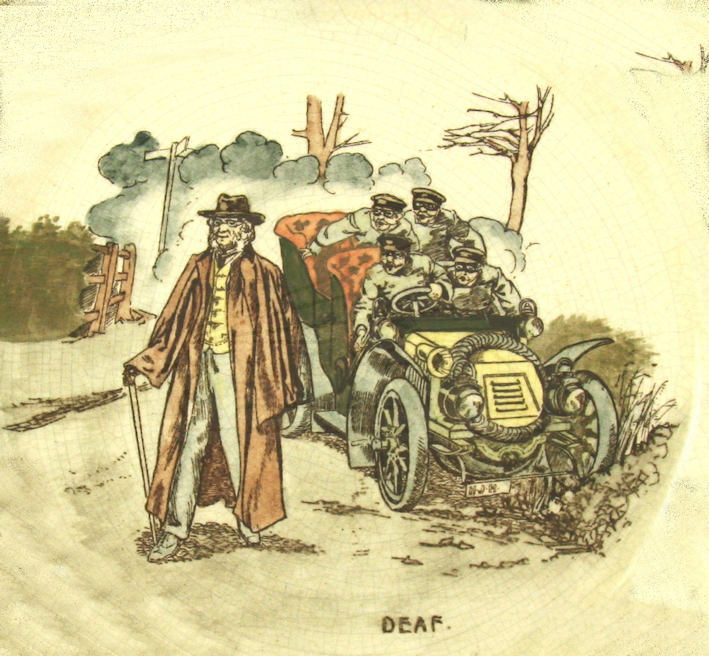 There are six plates with different designs – Blood Money, Deaf, Itch Yer on Govenor, Nerve Tonic, Room for One. The plate without a title pictures a yokel outside a country inn. Besides these six plate designs there are other images on the non-plates such as After The Run. Original designs in pen and ink on tracing paper exist. Two of the cars have a registration plate NJH which I assume was his initials and George was just his nickname? For further information on the Doulton motoring Series Ware see my website below. 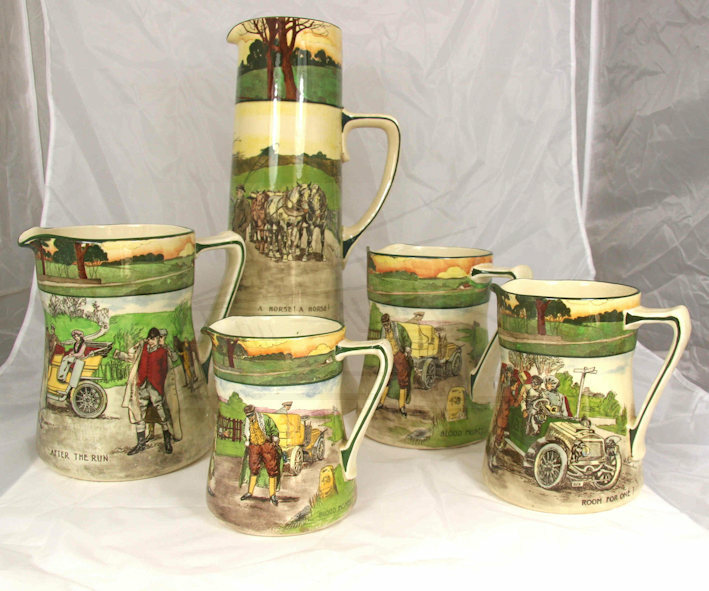 Five different sizes of jug with Motoring Series Ware.